Current Status: unknown; merged with Globe Lodge to form Globe Unity Lodge, 12/12/2009. By Worshipful Walter C. Reed and Worshipful John G. Anderson. Unity Lodge is the offspring of Globe Lodge in Hinsdale. To understand how this birth came about, it is necessary to give a brief history of Globe Lodge. A dispensation was granted on January 21, 1869, to a group of Brothers, all members of Mystic Lodge of Pittsfield. They became the Charter Members of Globe Lodge, and as they were prominent men of this region, their names are recorded as follows: John R. Davison, L. W. Taylor, H. M. Eames, Wm. H. Carson, S. S. Bowen, A. E. Taylor, C. Wesley Goodrich, T. K. Plunkett and W. H. Taylor. The first meeting was held February 1, 1869, in the Birmingham Block, later owned by T. A. Frissell. The first three officers were John R. Davison, Worshipful Master; Lewis W. Taylor, Senior Warden; and C. Wesley Goodrich, Junior Warden. Globe Lodge worked under the dispensation until March 9, 1870, when it received its present Charter signed by William Sewall Gardner, Grand Master, and Solon Thornton, Grand Secretary. The Charter Members received dimits as granted by Mystic Lodge on April 5, 1870, and on April 6, 1870, Globe Lodge was constituted and the room dedicated. Daniel Upton, District Deputy Grand Master of the Ninth Masonic District, acted for the Grand Lodge. The officers were publicly installed at a meeting held in the Town Hall. In 1874, the Lodge moved to its present quarters in the Bowen Block and the rededication took place January 23, 1874, R. W. Daniel Upton, District Deputy Grand Master, again acting for the Grand Lodge. The Lodge at this time had jurisdiction over the Towns of Dalton, Windsor, Cummington, Peru, Washington and Becket. Globe Lodge was originally in the Ninth Masonic District. In 1882, it was placed in the 15th, and in 1910, in the 16th District, of which it is now a member. As a matter of record, it should be noted that Hinsdale formerly had a Masonic Lodge known as Sincerity Lodge, chartered September 14, 1801. This Lodge met in a house, still standing, on Maple Street, but then known as Moody's Tavern. The records of this early Lodge have practically disappeared, but it is known that its Charter was held for about twenty-five years. Due to some misunderstanding over Grand Lodge dues, its Charter was forfeited December 27, 1824, three other Lodges surrendering their Charters at the same time and for the same reason. At the creation of Masonic Districts by Samuel Dunn, Grand Master from 1800 to 1802, Sincerity was assigned to the Eighth Masonic District with Friendship of Williamstown, Franklin of Chester, Evening Star of Lenox, Cincinnatus of Great Barrington, Wisdom of West Stockbridge, and Sheffield of Sheffield. On any existing records, Sincerity Lodge will be found to be located in Partridgefield. Hinsdale was formerly a part of the old Town of Partridgefield, which was originally Township No. 2. About 1762, Oliver Partridge of Hatfield became part owner and in 1771, the town was incorporated as Partridgefield. In 1795, the town was divided, the western part of the territory being incorporated as the "West Parish of Partridgefield." This "West Part" was later incorporated as the Township of Hinsdale on June 24, 1804, named in honor of Rev. Theodore Hinsdale, the first settled pastor. Little is known of the Brothers who formed this early Lodge or how they carried on the work, but in Globe Lodge today can be found a most interesting relic. This is a diploma as given to one Martin Buck, signed by Zenas Crane, Worshipful Master, and dated 1807. This Zenas Crane was the founder of the paper business in Dalton. When Globe Lodge was organized in 1869, the total membership consisted of nine Brothers. In 1896, the year of the formation of the Lodge in Dalton, Globe Lodge had seventy-seven members. In 1869, Hinsdale was a thriving town, with several mills and a considerable railroad activity, outranking Dalton in many respects. From a variety of reasons, as Dalton grew, Hinsdale declined so that in 1896, Dalton was considered to be the more prosperous by a considerable margin. As the membership of Globe Lodge increased during the approximate twenty-five year period, the greater number of new members, particularly toward the last of that period, came from Dalton. There is no doubt but that the Dalton Brothers lore or less planned to increase the membership in Globe through Dalton with the object of eventually forming a Lodge in Dalton by withdrawal from Globe. This actually took place, but not without a considerable amount of work by the Dalton Masonic group. The first attempt of the Dalton group was to place a petition before the Lodge for the removal of the Lodge from Hinsdale to Dalton. This was voted on at the regular meeting of October 1885. It was voted down. The vote stood Yes 9—No 14. It is not known how many members belonged to the Dalton group at that time. The second attempt was made through a petition to the Grand Lodge dated August 5, 1889. This petition was drawn 3y three Brothers from the Dalton group who named themselves the first three officers of the Lodge, respectively: James E. Milner, Jr., Joseph Schofield and John Henry Adams, and covered specifically the formation of a Lodge in Dalton. The Lodge was to be called Wahcona and the second Wednesday of every month was to be the date of regular meetings. Attached to the petition was a list of twenty-six names, twelve were members of Globe Lodge. The remaining fourteen were scattered between nine other Lodges. A copy of this petition was presented to Globe Lodge at the regular meeting of August 5, 1889, whereupon it was referred to a committee comprised of Brothers C. C. Wright, J. R. Davison, Geo. F. Plunkett, Franklin Weston and W. B. Clark. The last two were members of the Dalton group. This Committee reported at the regular meeting of September 29, 1889, two in favor and three against. The Lodge then discussed the matter "full and free" and the vote taken gave five in favor and twenty-two against approving the petition to the Grand Lodge. "While we congratulate our Dalton Brethren on the prosperous condition of their town, we doubt whether with the present spirit of rivalry between the two sections of the Town, a Masonic Lodge could be maintained there in that harmony which our ritual, as well as experience teaches is its strength and support. With us there should be no contention save that noble contention or rather emulation of who best can work and best agree." The reference here in respect to the rivalry between the two sections of the town had a real basis and was used as a strong argument at that time. Such a rivalry has long ceased to exist and Masonry had much to do with its elimination. The third attempt was successful, due to a more efficient organization and to a considerable increase in the membership of the Dalton Masonic group. At the regular meeting of April 6, 1896, a petition signed by forty-one Dalton Brothers and endorsed by Crescent and Mystic Lodges of Pittsfield was presented, and after some discussion, on motion made by Brother C. C. Wright, it was voted unanimously to permit the Dalton Brethren to form a Lodge in Dalton. Apparently the Dalton group had some assurance that their prayer for the formation of a Lodge in Dalton would be granted, as on March 6, 1896, a preliminary meeting of the Dalton Masons was held, with Franklin Weston in the chair. He stated that the meeting was for the purpose of selecting a name for the prospective Lodge and to recommend the names of Master Masons in good and regular standing to the Grand Lodge to be appointed to serve as Master and Wardens under the dispensation for which application was to be made. Brothers A. H. Foster and Geo. H. Warren were selected to serve temporarily as Secretary and Treasurer, respectively. From the several names presented, the name Unity proposed by Brother W. B. Clark was selected by a vote of 17 to 1. By ballot, it was decided to recommend to the Most Worshipful Grand Master the names of Franklin Weston as Worshipful Master, Earl Ingalls, Senior Warden, and Edwin H. Brownson, Junior Warden. Other committees were appointed to secure rooms, furniture and regalia should a dispensation be granted. On this same date, a petition for dispensation was drawn up and placed in the hands of the Most Worshipful Grand Master of Ancient, Free and Accepted Masons of the Commonwealth of Massachusetts. This petition was signed by the thirty-six who became Charter Members and five others. Why five of the signers were not included in the list of Charter Members is not known. The petition for Dispensation was granted in full by the Grand Master, Edwin Bradford Holmes, under date of May 16, 1896. This Dispensation was to cover one year, but could be extended to meet the constitution of the Lodge. The first regular communication of Unity Lodge was held June I5, 1896. The officers that were elected or appointed to the stations at this meeting served under the dispensation and without change, were installed by the Grand Officers at the time the Lodge was constituted. Before and during the time of dispensation, the Dalton Masons had no regular meeting place. It is known that they met in private homes, in business establishments, and in particular in the Hawley Building that vanished many years ago, but did stand on the east side of Depot Street where it joins East Housatonic. Here the ritual was studied and the work exemplified. Many of the Dalton Brethren were officers in Globe or other Lodges, and from the first meeting under the dispensation, the work was carried out in a superior manner. At the regular communication held July 20, 1896, this was the second regular meeting, the first degree was exemplified for the District Deputy Grand Master, Frank E. Peirson, who praised the work by saying he thought the Lodge "did not need instruction and the officers did their work very well." The Lodge passed a very active year. Many candidates were elected to receive the degrees. The first application received was that of Milton B. Warner, and he therefore had the honor of being the first to receive a degree as conferred by Unity Lodge. Bro. Warner's application was acted on August 17, 1896, and he was made an Entered Apprentice October 19, 1896. Brother LeRoy P. Adams was the first candidate to receive through special dispensation two degrees on the same date. After much discussion, the Lodge decided to hold a fair to which all would be invited. The fair was apparently a success as it netted $212.07. As this is the first and only affair of this kind held by the Lodge it is of interest to know what took place, and what was of interest to people at that period. Little is known about what was offered for sale, but an entertainment ran for two or three nights with a program made up of selections by the Crescent Quartet, readings by Miss Lillian Cobban, songs by George Maynard, accompanied by W. H. Hitt, and fancy club swinging and tumbling by George Oakes and Michael Gaudette. This is a goo d example or the kind of entertainment enjoyed by the public in the early nineties. Unity Lodge came into being due to the untiring effort of the members that formed the original Dalton Masonic group. Space will permit only a brief review of the activities of a few of the members, but great credit is due to the group as a whole. Brother Byron Weston was one of the prime movers in the original organization. He made possible the lodge rooms in Center Block. At first the rooms occupied only part of the third floor, but later the entire floor was arranged for lodge work, and still later the second floor came under the control of the Lodge. It was the desire of Byron Weston to become the first Master of the new Lodge, but due to ill health, he was compelled to forego that honor. His son, Franklin Weston, was appointed Master under the dispensation, and later was elected to become the first Master of Unity Lodge. He in his turn did much to place the Lodge on an efficient and working basis. 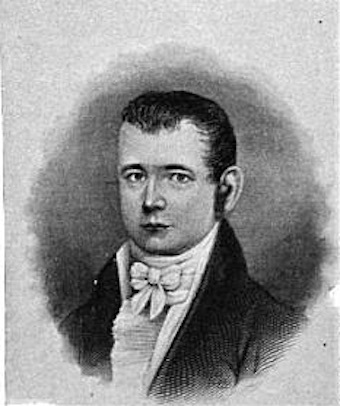 Worshipful William S. Warren was unsparing of his time and effort in promoting the welfare and growth of the Lodge in its early years, and in fact his interest never failed during his life. Worshipful Martin E. Stockbridge, known affectionately by his friends as "Matt" was a prime mover in all Masonic endeavors during his many years as an active Brother. When things had to be done, Matt was always on hand and he never failed. Brother Robert B. Dickie, known as Captain Dickie, was strong on order and precision of work and did much to establish that high standard for which Unity Lodge has for many years been credited. Worshipful Edwin H. Brownson, unassuming, reliable, always ready and willing to do his part. He is a splendid example of a Mason. Brother George H. Warren — the first Treasurer of the Lodge. For twenty-four years he fulfilled this office with great honor to himself and the Lodge. He was always dependable, and will be remembered by those fortunate to have known him as a "Just and Upright Mason." Brother Albert H. Foster was made Secretary at the first meeting under the dispensation, and for the following thirty-five years, held that office. If any Brother ever became a part of Unity Lodge, it was Brother Al Foster. He was an institution. He could have had greater Masonic honors, but chose to remain as Secretary as he believed he could be of greater service to the Lodge in that office than in any other. A lovable character and a true Mason in every respect, his name will be long remembered in Unity Lodge. Brother John H. Adams — In any movement some one has to be the prime mover, and in this case, if any one name stands out in respect to untiring effort in promoting the formation of a Masonic Lodge in Dalton, it is that of Brother Adams. We can little realize today what it meant in the early nineties to travel from one town to another, even when as close as Dalton and Hinsdale. Train time rarely accommodated Lodge meeting time, and few owned horses and wagons. It is known that members and candidates walked to and from meetings, oftentimes in the rain and snow. This was one of the conditions that Brother Adams faced in bringing about his great object. Due to failing health, he did not receive the Masonic honor to which he was entitled, but in the course of years, two of his sons, and one grandson did become Masters of Unity Lodge, and filled with honor that chair to which he had aspired. It may be well to examine briefly the men who became the Charter Members of Unity Lodge. None of these men are now living. In another generation, most of them will be forgotten. Such is life, but for the benefit of the present members and for those who will be members in the years to come, just what position these men occupied in this community should be of interest. They represented all walks of life, and as Dalton is a paper town, naturally we find mill owners, mill superintendents, mill foremen, paper makers in general, school superintendents, school teachers, business men, farmers, merchants, doctors, hotel proprietors and others. Regardless of what their business or profession might have been, they were "good men and true," exemplary citizens and Masons. Unity Lodge was fortunate and remains fortunate in having a secure and well knit foundation. On May 16, 1896, upon petition of Byron Weston and 40 others, said petition being approved by the D. D. G. M. and every Lodge in the 15th District, I granted a dispensation for a new Lodge to be formed in Dalton, Massachusetts to be called Unity Lodge. The dispensation was made returnable at the March Communication 1897. It is very gratifying for me to learn from the D. D. G. M. that this Lodge bids fair to be one of the best in the District. A pertinent comment by a good and able Brother is worthy of record as follows: "Naturally I think he must have had the gift of prophecy — We are the best Lodge in the District." It can be added — May we always strive to retain that high standard set for us by the Brethren who served so ably before us. In thirteen closely hand-written pages of our old record book is set forth in minutest detail the proceedings of a Special Communication of the Most Worshipful Grand Lodge of Ancient Free and Accepted Masons of the Commonwealth of Massachusetts, held in the Masonic Temple, on the third floor of the Center Block in the Town of Dalton, the twenty-eighth day of June, A.L. 5897, A.D. 1897, for the purpose of constituting Unity Lodge. After the usual opening ceremonies, Wor. Bro. Charles E. Merrill, acting as Architect, surrendered the working tools, whereupon the Grand Officers duly examined the building and, finding it satisfactory as tried by the Square, Level and Plumb, proceeded to dedicate the apartments to Freemasonry, to Virtue and to Universal Benevolence in accordance with ancient form and usage and the ritual of the Grand Lodge. Following the dedication of the Temple, the Grand Master proceeded to constitute Unity Lodge, with the accompaniment of appropriate singing by the Choir, composed of Crescent Lodge Quartet and others. Let your influence go out from this place which should affect the moral and intellectual condition of this community, and spread the principles of Universal Brotherhood among men. Do not let your desire for material prosperity induce you to open your portals to any who are unworthy of our privileges, whatever their station or condition in life, for to receive such would bring discredit upon you and to the Fraternity. Raise your standard high and maintain it there. Our founding fathers have kept this faith — let us who follow, uphold it. And so was constituted Unity Lodge, a name proposed by Brother W. B. Clark and chosen by ballot at the first preliminary meeting on March 6, 1896, by a vote of 17 to 1. One wonders who was the dissenter and what his choice might have been. The first regular communication of the new born Lodge was held on July 19, 1897, and at this first meeting the petition of a candidate was rejected, twice verified, and twice again rejected. Evidently our Brothers had taken to heart that part of the Grand Master's charge to keep our standard high. At the August communication, a letter was received from the Grand Secretary instructing us that "the original charter be placed in the most secure safe in town," and from that day to this the Byron Weston Company has generously permitted the use of its safe for this purpose. How many of us today take for granted the regalia and furnishings of our Lodge. The minutes of our early meetings bring home to the reader the tremendous task it must have been to accumulate "the furnishings of a lodge." A bill for $116.42 for "paraphernalia," $84.00 for a carpet, the gift of a bible, an "elegant" mirror, the square and compasses and an "oaken box for aprons" (both still used today), and thanks extended for a "useful gift, the cuspidors." At the December, 1897, meeting, Wor. Bro. Franklin Weston was again installed as Worshipful Master by Past District Deputy Grand Master Frank E. Peirson, who today is still one of the most active Masons in the 16th District, known and loved by us all. A year later marks the first passing of a Charter Member, Brother Byron Weston, whose name headed the charter list, and whose substantial gifts had eased the financial pains of our new born Lodge. In these days of radio and television, it is interesting to note that Brother Church entertained the Brethren in 1900 with that new device, a graphophone, and in this same year is recorded the raising of Wor. Bro. John H. Bellows, now our oldest living Past Master, the Chairman of this 50th anniversary celebration, and one of our most active and interested members. Also in 1900 was held our first public installation, when Wor. Bro. William S. Warren was installed as Master, "a large gathering and an evening to be remembered with much pleasure." The next year we voted to pay out janitor $1.00 for each regular meeting and fifty cents for specials, and in April, paid a bill for $7.50 for a "Low Twelve Gong," still in excellent working condition. How many of our members know the official name of that useful instrument? And so the years roll by, the meetings recorded faithfully, one by one, the regulars, the specials, the long evenings and short. One must read between the lines to visualize the labor of love exerted by our early Brothers, for the minutes as written are but the dry and dusty bones of days, months, and years of composite Masonic lives. Slowly our financial condition improved, for in 1902, we paid our Secretary $6.00 a year, our janitor now received fifty cents for each rehearsal and we voted to grant the "parties organizing a Chapter of the Eastern Star" free use of the Lodge rooms for six months. Later in the year, however, our New England canniness came to the fore, and a rental charge of $75.00 a year was agreed upon, they to have the "privilege of everything, two meetings a month, four socials and rehearsals — any additional meetings to cost $3.00." One gun case, ten guns, cap and cartridge boxes for same, seven swords and belts, two swords without belts, two altar swords, Post Colors and Markers, one Bible, one altar flag, one captured flag; said articles to become the property of Unity Lodge, A. F. & A. M. to all intent and purposes and to be kept as a memorial of Hancock Post, said Post having surrendered its charter and passed out of existence this day December 31, 1902. Provided, however, that if Unity Lodge A. F. & A. M. should at any time surrender her charter, the said articles are to be turned over to the Town of Dalton, and kept in like manner as above. Provided also if a Post of the Grand Army of the Republic be established in the Town of Dalton, Mass., the said articles are to be turned over to the new Post for their use. In 1907, Unity Lodge was honored by the appointment of Wor. Bro. Charles H. Cooper as District Deputy Grand Master, the first of three of our members chosen to represent the Grand Master in the District. The slow but steady growth of our Lodge continued, and plans were underway to enlarge our quarters, first by taking over the gymnasium vacated by the Y. M. C. A. "at a rent not to exceed $3.00 a year," and later, in 1912, by a general remodeling of our apartments, such an extensive undertaking that it necessitated holding the February and March meetings that year in Hinsdale, under special dispensation of the Grand Lodge. Brother Albert H. Foster, still remembered by many of us today as the perennial Secretary of the Lodge, generously contributed to the cost of reconstruction by donating his commission and discount for the carpet, so excellent in quality that, laid in 1912, it is still in first class condition thirty-five years later. In 1914 we joined with the other Lodges in the District in participating in the dedication ceremonies of the new Masonic Temple in Pittsfield. A picture showing the Unity Lodge Brethren in line of parade that day may be seen in our anteroom. All too soon, World War I was with us and found Unity Lodge buying Liberty Bonds and contributing to the Masonic War Relief Fund. Because of the fuel shortage, we received dispensation from the Grand Lodge to meet at other than the stated meetings. Evidently Unity Lodge had no fuel problem as beset us in later years, for no action was taken on this matter. It is gratifying to know, in connection with the Masonic Relief Drive and later, in 1921 with the George Washington Memorial Fund, that Unity Lodge contributed generously to both projects. The bronze memorial tablet honoring the Brothers of Unity Lodge who served in World War I was presented to the Lodge that year by the Past Master's Association. This year also marked the retirement of Brother George S. Warren, who had served Unity Lodge as Treasurer since its institution, a total of twenty-four years. Twenty-five years passed and Unity Lodge celebrated its anniversary with 140 members present at the banquet, where R. W. William H. Barrows, District Deputy Grand Master, and R. W. Herbert W. Dean, Senior Grand Warden, gave inspiring addresses. That night the third degree was exemplified by the Past Masters with Wor. Bro. Walter C. Reed in the East. Our relations with Berkshire Chapter O.E.S. have, as might be expected, always been harmonious, but in 1925 two of their members went beyond what might have been expected when "Mrs. Howard Adams and Mrs. Herbert R. Messenger were thanked for their assistance in taking care of the Lodge furniture during the rain that damaged the Lodge rooms." A second general remodeling of our apartments was undertaken that year, when Unity Lodge took over both second and third floors of the building. We regret, however, the passing of a motion made at that time: "That it be the sense of the Lodge at the present time not to think of creating a building fund — this motion made to bring the matter to an understanding in regard to erecting a building but to endeavor to secure better quarters in this building." Unity Lodge was especially honored in 1926 by the visit of Most Worshipful Frank L. Simpson, Grand Master of Masons in Massachusetts, accompanied by R. W. Robert J. McKechnie, Grand Marshal, who came to Dalton in February for the purpose of installing one of our members, Wor. Bro. LeRoy E. Shaw as District Deputy Grand Master. Later that year, R. W. and Rev. John C. Breaker, Grand Chaplain, visited Unity Lodge on April 19th to give us an address on Patriotism, and at the official visitation, there were present, on R. W. LeRoy E. Shaw's Suite, M. W. Dudley H. Ferrell, R. W. Frank H. Hilton, Senior Grand Warden, and R. W. Herbert W. Dean, whose "kindly greetings, dignified bearing and splendid addresses were surely an inspiration to Unity Lodge." Dissatisfaction with our quarters still continued, and in 1927, a committee was appointed to confer with a building committee to determine the prospect of obtaining quarters in the new Post Office building, but no report of their findings is on record. This year, two of our Charter Members, Brothers George F. Booth and Martin D. Pelton, were presented with Fifty Year Veteran's Medals, two of the three members in our history who have been so honored. Students of the history of Unity Lodge will recall that Brother A. H. Foster was Secretary of Globe Lodge in Hinsdale, our Mother Lodge, and was the first and only Secretary of Unity Lodge until 1929, when he retired after thirty-five years' continuous service in this important office. His loyalty to our Lodge was fittingly expressed by the Brethren in the presentation of a gold watch in appreciation of such unusual and faithful devotion to duty. Our Brothers of the Congregational Church in Dalton that year presented the Lodge with a beautiful Bible, suitably,, inscribed, which is open on our altar at our meetings today. Unity Lodge, honored in 1932 by the election of one of our members, R.W. LeRoy E. Shaw, as Junior Grand Warden, celebrated the event by a meeting in January when ISO Brothers were present at a dinner. Guests that evening were Past Grand Master Herbert W. Dean, Past Junior Grand Warden Frank E. Peirson, Past Junior Grand Warden James P. Smith, Worshipful Robert P. Easland, Grand Pursuivant, and many District Deputy Grand Masters. The great business depression of 1929-1934 had its repercussions in our financial health, for we find that a committee was appointed to make a survey of our expenses. Later in 1934, a motion was made to authorize the Lodge to borrow money to pay Grand Lodge dues. No record of having done so can be found, however, so that it may be assumed that we weathered the storm. Close relations with Mount Anthony Lodge No. 13 of Bennington, Vermont, were observed in 1938, when an interchange of visits was arranged to exemplify the Third Degree in each other's Lodge, and again in 1939 by an interchange of Masonic Plays. The play, "Greater Love Hath No Man," as presented by Unity Lodge Players, was particularly popular around the District, being presented not only at our own Lodge, but also at the joint communication of the three Pittsfield Lodges, and at Globe, Occidental, Berkshire and Mount Anthony Lodges. The climax was a presentation at the Masonic Home in Charlton. All too fast the years pass, and once again in our short history the clouds of War pass over our land. Again we find dispensation granted to confer degrees under the statutory time on candidates answering the call to arms. We find the Worshipful Master resigning his station to the Senior Warden during a blackout, so that he might be at his post as Special Officer and Warden. We read (and some of us remember) of that meeting on February 15, 1943, the coldest night in fifty years, when the members met in overcoats and furs in the Lodge rooms, with the temperature near zero because of lack of fuel oil. We remember that a Fifty Year Veteran's Certificate was awarded to Wor. Bro. Edwin H. Brownson, because no medals were being struck off. Once more, we know that Unity Lodge purchased War Bonds to its capacity, and that its contribution to the Masonic Service Association in 1944 was generous, ranking high among the Lodges of our state. Especially do we remember those Brothers who answered the call, and those sons of members who gave their lives. Once again Unity Lodge was honored, this time by the appointment in 1943 of Wor. Bro. Ethelbert R. Pierce as District Deputy Grand Master, and a year later, we find the record of a very gracious deed, the presentation by R. W. LeRoy E. Shaw of his own Past District Deputy Grand Master jewel to R. W. Brother Pierce. Two years later, in 1945, Unity Lodge mourned the passing of its last. Charter Members, Wor. Bro. Edwin H. Brownson, Master in 1900, and Brother Herbert L. Allen, the man best qualified to have recorded the history of your Lodge. So was broken the last remaining intimate tie with our birth, a tie reaching back over nearly fifty years. We were indeed fortunate, that same year, in the forging of a new link — nay a chain — that binds us securely to those who labored through the years that Masonry might live and have its being in Dalton. We refer, of course, to the photographs of our Past Masters which adorn our Temple, a full fifty names in all. We charge you, let no future Master fail in his duty of forging a link to this chain. Many of us today knew Wor. LeRoy P. Adams, a few knew Wor. William S. Warren, and but a handful are left who knew Bro. Edward H. Brewer. Yet, the names of these men are known to us all because their love and affection for their Lodge extended "beyond the grave to the boundless realms of Eternity." We record with gratitude the bequests that made possible the Edward H. Brewer Fund, established in 1912, the William S. Warren Fund, in 1924, and the LeRoy P. Adams Fund, in 1946, which, together with interest, remain intact today. And so we come to the end of this history of Masonry in Dalton, a history reaching back from 1947 to 1897, and still further to the beginning of Freemasonry in the Berkshires, the history of a small town Lodge whose name, Unity, is known to the Craft as a friendly Lodge, a Lodge where our creed is, as always, the Fatherhood of God and the Brotherhood of Man. To our founding fathers, all honor and love; to our living Brothers, friendship; to our successors, our children and children's children, a precious heritage — the faith of our founders. Let them, too, raise their standard high and maintain it there. By Worshipful Kinsley M. Goodrich. In the latter part of the 19th century, due to the growth in population of Dalton, and the consequent increase in the number of Freemasons living in the town, it became evident that Dalton should have its own Masonic Lodge. At that time, Dalton was under the jurisdiction of Globe Lodge in Hinsdale, as were also the towns of Becket, Cummington, Peru, Washington and Windsor. [http://masonicgenealogy.com/MediaWiki/index.php?title=Globe Globe Lodge was organized in 1869, with 9 members. At that time, Hinsdale was a thriving community, outranking Dalton in many respects. As Globe Lodge grew in membership, with many of its new members coming from Dalton, interest was created in forming a Lodge in Dalton. The first attempt of the Dalton Masons was on October 5, 1885, when a vote was taken on removing Globe Lodge to Dalton. The move was defeated 14 to 9. In August of 1889, a petition was presented to Grand Lodge requesting the formation of a Lodge in Dalton to be called "Wahcona". A copy of this petition was also presented to Globe Lodge at its regular meeting on August 5, 1889, where it was referred to a committee comprised of Brothers C. C. Wright, J. R. Davison, George F. Plunkett, Franklin Weston, and W. B. Clark. The last two were members of the Dalton group. This committee reported at the regular meeting on September 29, 1889, two for and three against. After a "full and free" discussion, it was voted 22 to 5 against approving the petition to Grand Lodge. In 1896, a petition was again presented signed by 41 Dalton Brothers, and endorsed by Crescent and Mystic Lodges of Pittsfield. After some discussion, the motion, as presented by Brother C. C. Wright to permit the Dalton Brethren to form a Lodge, was voted unanimously in favor. Dispensation was granted on May 16, 1896 by the Most Worshipful Grand Master, Edwin Bradford Holmes. The first regular communication of Unity Lodge was held on June 15, 1896 with Brothers Franklin Weston, Worshipful Master; Earl Ingalls, Senior Warden; Edwin H. Brownson, Junior Warden. They served throughout the Dispensation period and were installed when the Lodge was Constituted. From the several names presented the name "Unity" as proposed by Brother W. B. Clark was chosen by a vote of 17 to 1 at an organizational meeting held by the Dalton Masons on the March 6th previous. Before and during Dispensation, the Dalton group had no regular meeting place. It is known they met in private homes, as well as in the old Hawley Building, which stood on the Northeast corner of Depot and East Housatonic Streets. The first year of the Lodge was very active with several candidates receiving the degrees. Milton B. Warner had the honor of being the first to receive a degree as conferred by Unity Lodge. Brother Byron Weston (of the paper firm that bears his name) was one of the prime movers in organizing Unity Lodge, and made possible the original rooms in the Center Block. He aspired to be its first Master, but due to ill health had to forego that honor. His son, Franklin Weston, was appointed in his place. On the 28th of June, 1897, a Special Communication of the Most Worshipful Grand Lodge of Massachusetts convened on the third floor of the Center Block, Dalton, for the purpose of Constituting Unity Lodge with Most Worshipful Charles C. Hutchinson, Grand Master, presiding. (1897 Mass. 153-159) After the rooms were dedicated, the following officers were installed: Franklin Weston, Worshipful Master; Earl Ingalls, Senior Warden; Edwin H. Brownson, Junior Warden; George H. Warren, Treasurer; Albert H. Foster, Secretary; George R. Judd, Senior Deacon; Cushing M. Parker, Junior Deacon; George H. Hall, Chaplain; William B. Clark, Marshal; Martin D. Pelton, Senior Steward; George Crew, Junior Steward; Robert B. Dickie, Tyler. There are 34 Charter Member signatures on our By-Laws, and the year 1897 saw 4 more Brothers added, 5 more in 1898 and another 3 in 1899. Unity Lodge was active and growing. Time does not permit us here to mention the names of all the men that were instrumental in the organization of Unity Lodge. Suffice to say, they were "Good Men and True" and solid citizens of the town. In 1900, our first public installation was held when Wor. William S. Warren was installed as our fourth Worshipful Master. The following year our "Low Twelve" gong was purchased for $7.50 and is still in excellent condition. The year 1902 found us financially solvent for we voted to pay our Secretary $6.00 per year and the janitor $1.00 for each meeting, and 50c for rehearsals. In 1907, Unity Lodge was honored by the appointment of Wor. Charles H. Cooper as District Deputy Grand Master, the first of four of our members to be chosen to represent the Grand Master in our District. 1912 saw a general remodelling of the rooms in the Center Block. In the year 1914, we joined with the other Lodges in the District in the Dedication of the new Masonic Temple in Pittsfield. World War I came along and Unity Lodge did its bit in buying Liberty Bonds and contributing to the Masonic War Relief Fund. On June 19, 1922 we celebrated our 25th Anniversary with 140 members present at the banquet. Wor. Roswell W. Smith, Sr., was Worshipful Master that year. After inspiring addresses by Rt. Wor. William H. Barrows, District Deputy Grand Master, and Rt. Wor. Herbert W. Dean, Senior Grand Warden, the Past Masters exemplified the Third Degree. A second general remodelling of the rooms was undertaken in 1925 when we also took over the second floor of the Center Block. We were honored in 1926 by the visit of Most Worshipful Frank L. Simpson, Grand Master, for the purpose of installing one of our members, Wor. Leroy E. Shaw as District Deputy Grand Master. In 1932, Wor. Bro. Shaw and Unity Lodge were again honored by his election as Junior Grand Warden. The depression years came and went with some difficulty, but we weathered the storm. The clouds of World War II appeared and Unity Lodge again did its share in purchasing Bonds and contributing to the Masonic Service Association. We read of the meeting on February 15, 1943, (and some will still remember) that it was the coldest night in fifty years, when the members met in overcoats and furs, with the temperature in the Lodge Room near zero, due to the shortage of fuel oil. Also in 1943, we were again honored to have another District Deputy Grand Master appointed from our membership, Wor. Ethelbert R. Pierce. At the meeting held on May 21, 1945, framed photographs of all Past Masters of the Lodge were presented by the Past Masters Association. They were reframed in their present individual frames in 1968 by Wor. Charles W. Ford, who annually makes the trip from Arlington, Virginia, for our Past Masters night. (We believe we are the only Lodge in the District, if not in all of the area, to have photos on display of all its Masters). Several times over the years, talk of acquiring our own Temple brought lively discussion to our meetings. On at least two occasions, committees were formed to investigate suitable sites, but alas, all proved unsuitable, or too costly to undertake. As the stairs to our Center Block rooms seemed to get steeper each year, and the winters were colder due to the lack of central heating, there was increasing interest in moving to better quarters. In 1957, the present rooms became available. After suitable investigation by a committee, the Lodge voted to relocate. After considerable remodelling, we moved in 1958, holding our first meeting in this room on March 17th. As considerable money was spent on the remodelling, we had no funds left for frills such as a new organ. A drive for the purchase of one was started, but it was not until 1960 that the instrument was acquired. 1960 was also the year that Unity Lodge was again honored by having Wor. Theodore R. Sherpey appointed as District Deputy Grand Master for the Pittsfield 16th Masonic District. The new flags for the Lodge Room were acquired in 1965, through the generosity of Globe, our "Mother Lodge", and a number of Brethren. Unity Lodge has long supported the Grand Lodge-Red Cross joint Blood Donor Program. We are proud of the several citations received from Grand Lodge for meeting or exceeding our quota. This has been possible only through the unselfish efforts of members and friends in donating their blood. In 1967, under the direction of Wor. Frederic W. Davis, Jr., Worshipful Master, Unity Lodge was host to Columbia Council, Knights of Columbus, for a social evening after our regular communication on April 17th. The Rev. Father Ayers of St. Agnes Church gave an inspiring talk on "Brotherhood", to the combined group. This was the first of many visits and community work projects between the two groups. Since 1902, we have shared our Lodge Rooms and facilities with Berkshire Chapter No. 8 1, Order of the Eastern Star. We have enjoyed many, many delicious dinners prepared by the good ladies of the Star. They have done much to "Help, Aid, and Assist" Unity Lodge. We believe that Unity Lodge is unique in having had only four Secretaries in the past 7 5 years: Bros. Albert H. Foster, Arthur Root, Wor. J. Earl Cocklin and Rt. Wor. Theodore R. Sherpey. Two of these, Brother Foster and Wor. Brother Cocklin, each served for more than 30 years. We are also very proud to have had four District Deputy Grand Masters and one Junior Grand Warden chosen from among our ranks, as mentioned earlier. We can also be proud of our 18 members living, who have received their 50-year Veteran's Medal from Grand Lodge. We also have one Life Member and two Honorary Members. Countless other Brothers during the past seventy-five years, or more, have done much for Unity Lodge. Many names and deeds have been omitted in the interest of brevity, but we of today think of them often, and I hope that the written record of this occasion will list them for future generations of Unity Lodge. Needless to say, Unity Lodge of today is proud of its heritage. Those who have gone before us have built a firm foundation for us to build upon. Let us hope that we can do as well for our successors. This page was last modified on 2 November 2016, at 07:43.